PINEAPPLE CEILING FAN DIMENSIONS: 15.5" from Ceiling to Bottom of Fan (with 6" Downrod Included); Weight 31.9 lbs. 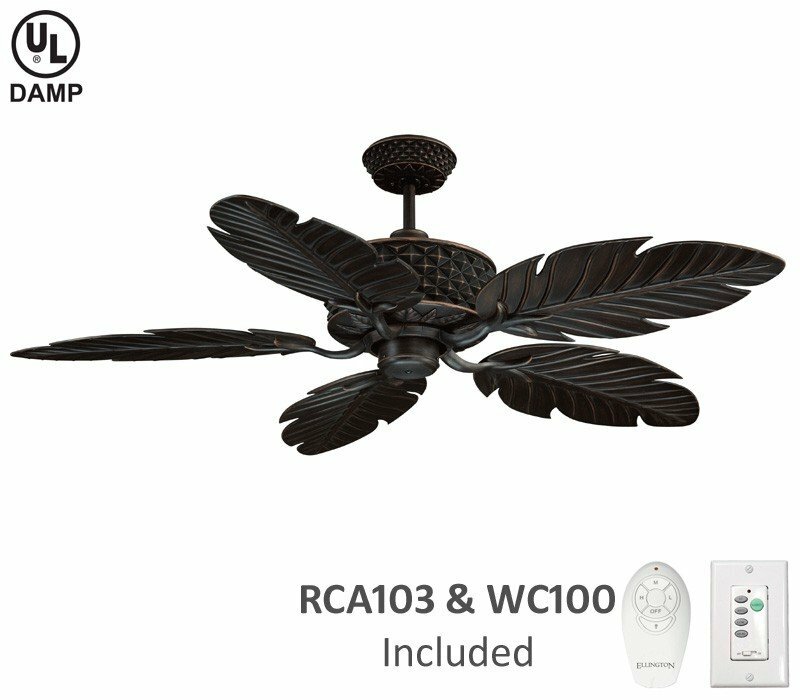 Merely a glance at the luxuriously decadent Pineapple ceiling fan is enough to evoke the relaxing feel of a tropical paradise. 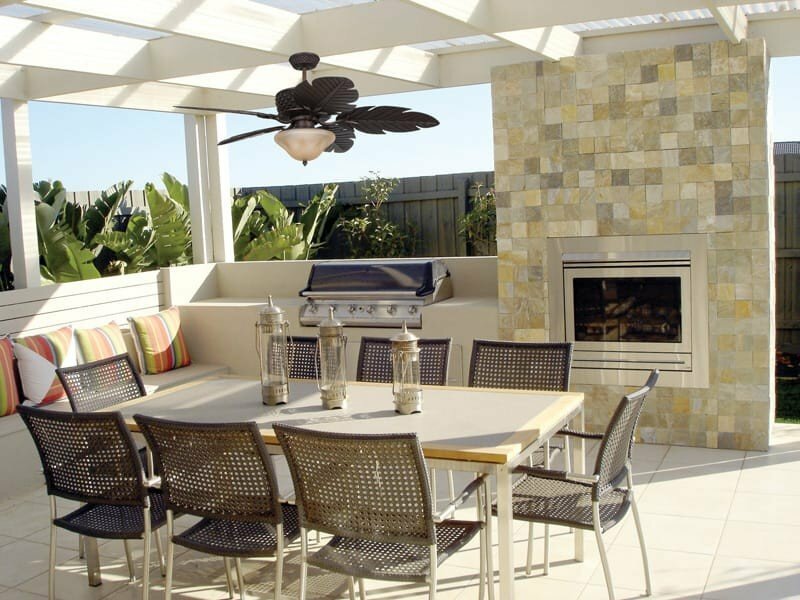 Feathery blades like palm fronds spin lazily overhead, instantly transforming a covered porch or outdoor kitchen into a personal lanai. 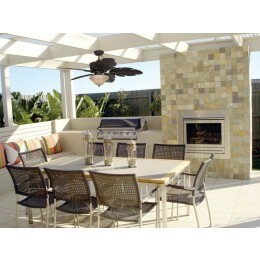 The textured pineapple motif on the housing and canopy adds elegance and whimsy in equal measures. Aloha, paradise.